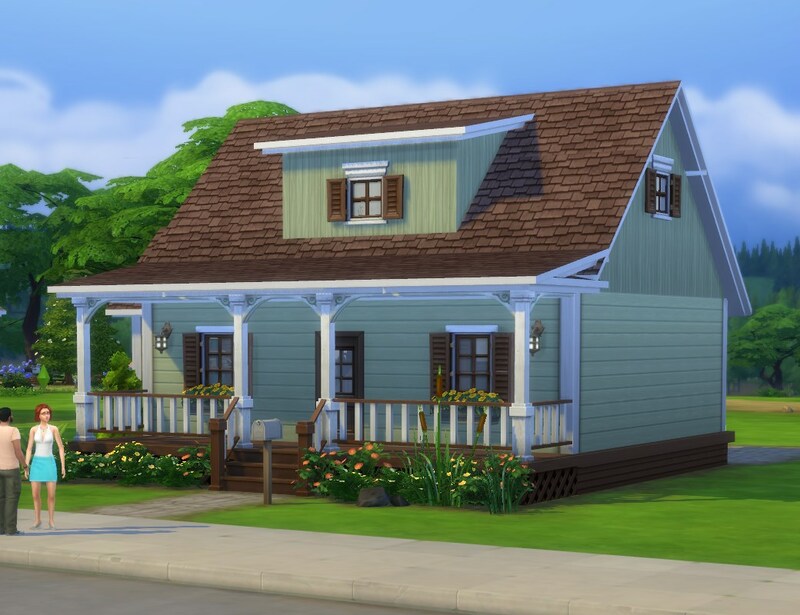 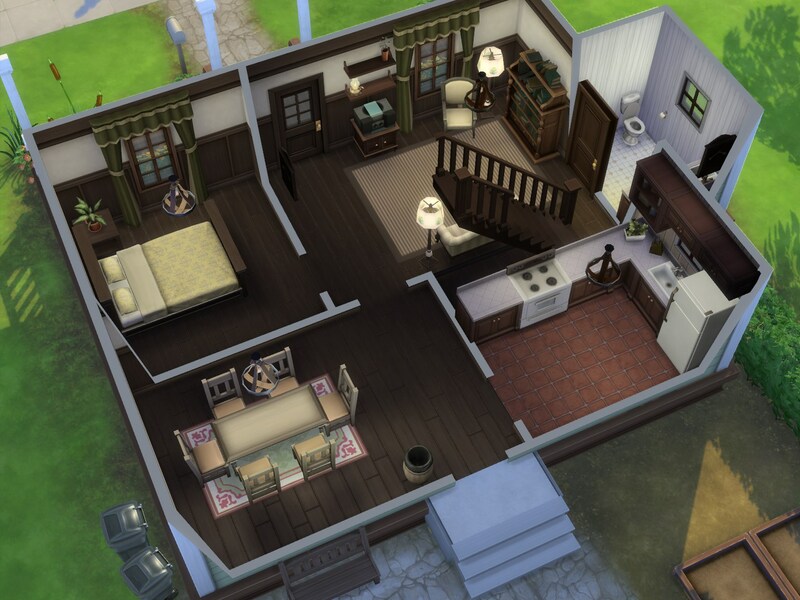 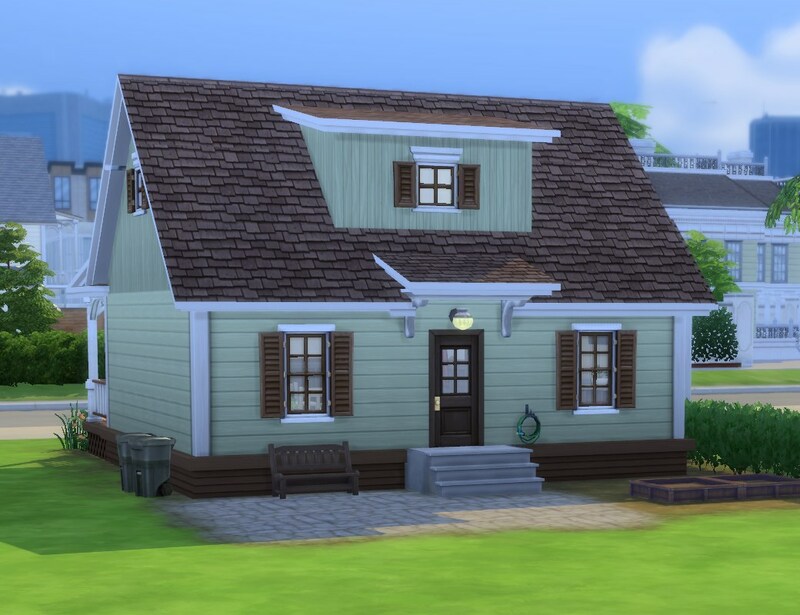 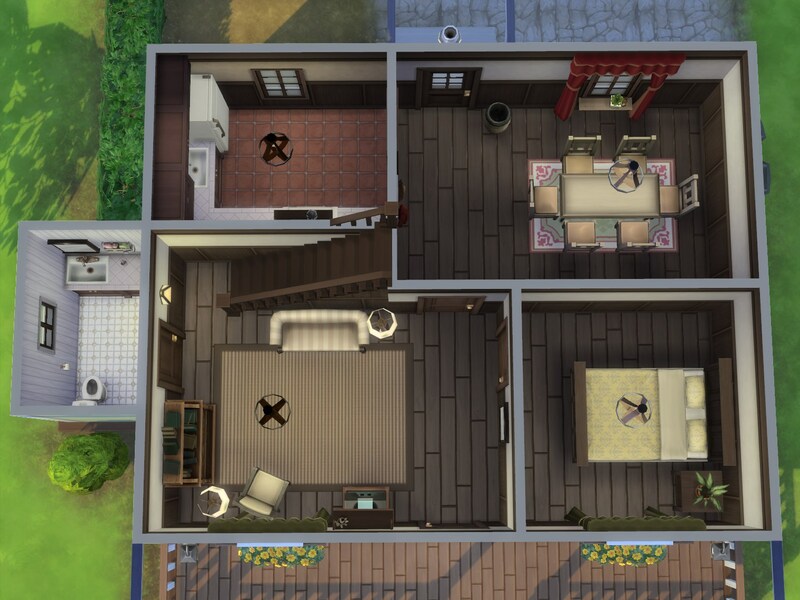 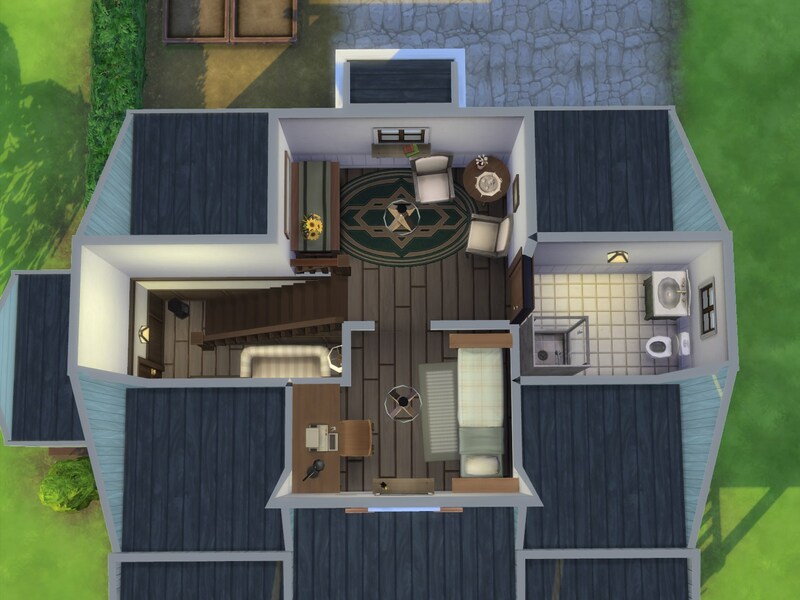 This is a small, rustic cabin suitable for 3‒4 sims (it is furnished for three). 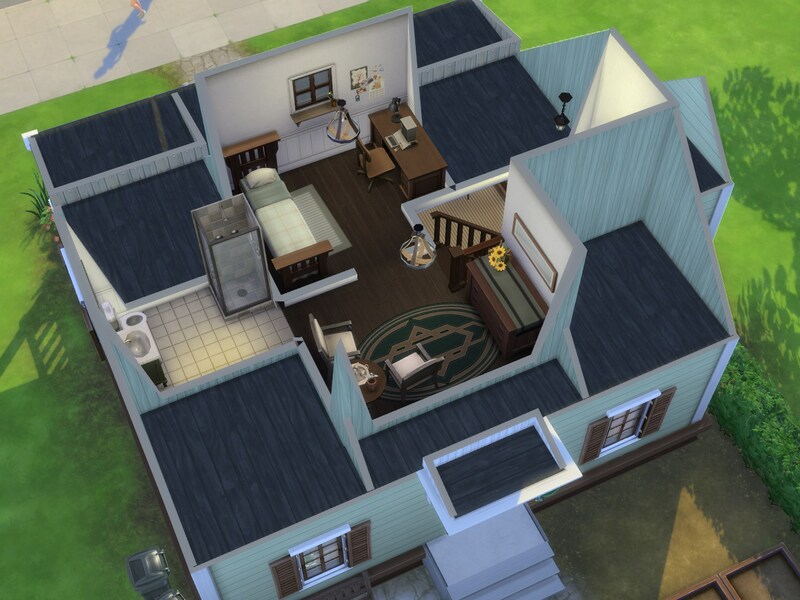 Two bedrooms, two bathrooms, separate kitchen and dining room. 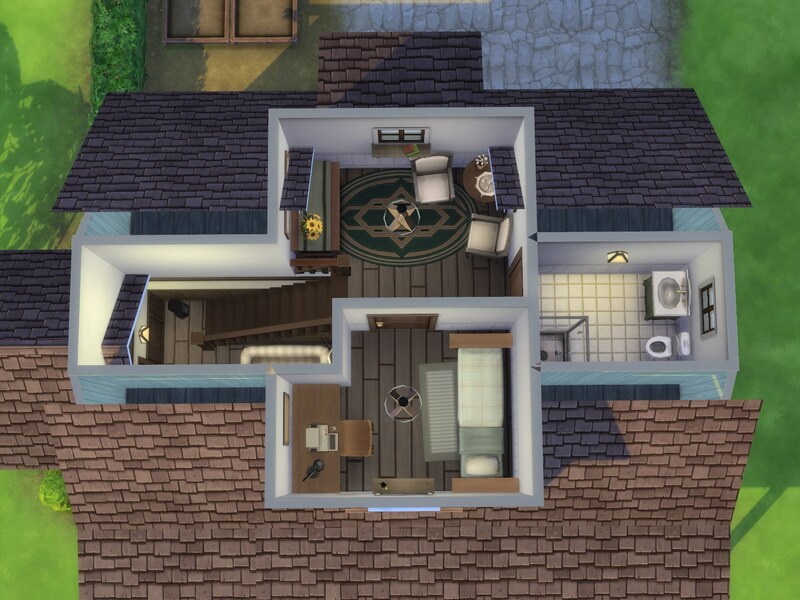 Note that due to the open stairway, the roof will poke through the wall of the upper landing in walls-up view ‒ it’s not really an issue for gameplay though, since one will hardly ever have the walls up in Live mode. 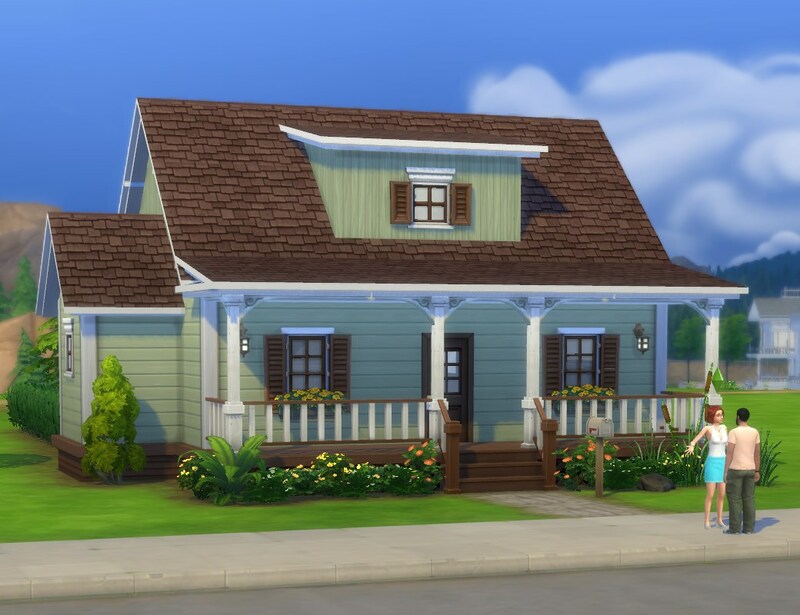 Recommended custom content: Liberated Grass/Reeds from here ‒ I’m not sure if the reeds in front will show up otherwise; in any case they won’t have a proper name and description. 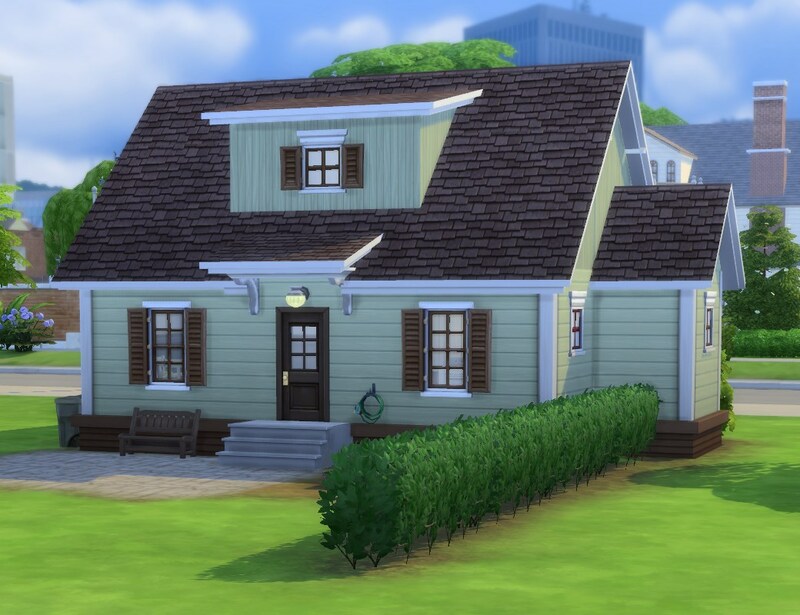 Prices below are when placed on a 20×30 lot, it fits on a 15×20 as well.